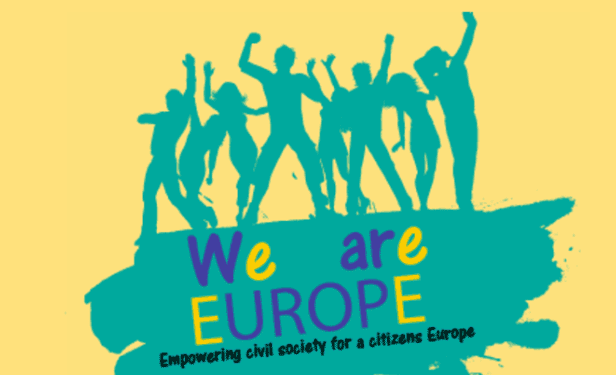 Last weekend, the 2018 edition of the We Are Europe Academy, a training event for civil society activists was held from 9-11 November jointly by ECAS and the Union of European Federalists in Brussels, in the framework of the We are Europe project. 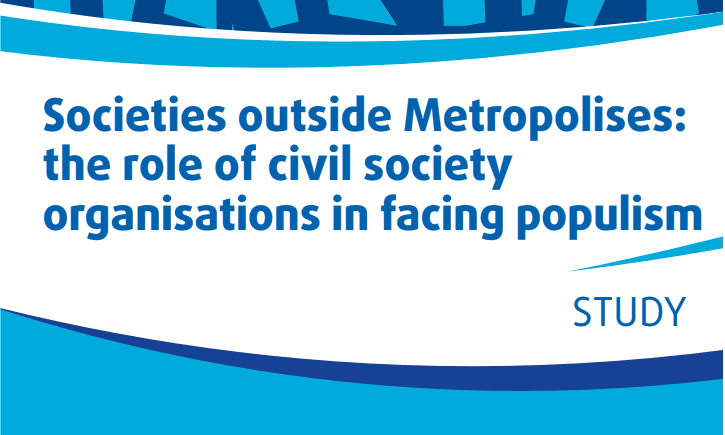 This training for CSOs aimed at developing practical skills on political communication, campaigning, citizen engagement, grassroots campaigning to become active participants in the ongoing debate on the future of Europe, particularly in the run up to the European elections. Our trainers, Elisa Lironi, Flavio Grazian and Huw Longton held three workshops entitled Going digital to engage citizens with Europe, Countering fake news in the European elections campaign and Lobbying the Candidates and Political Advocacy. During the first workshop, ECAS’ Digital Democracy Manger Elisa Lironi, stressed the importance of the concept of Digital Democracy and new e-participation tools that have the potential to enhance citizens’ democratic participation in political processes. She explained how e-participation tools can foster citizens’ engagement, bring citizens closer to EU decision-makers, and therefore positively transform the relationship between EU citizens and institutions. 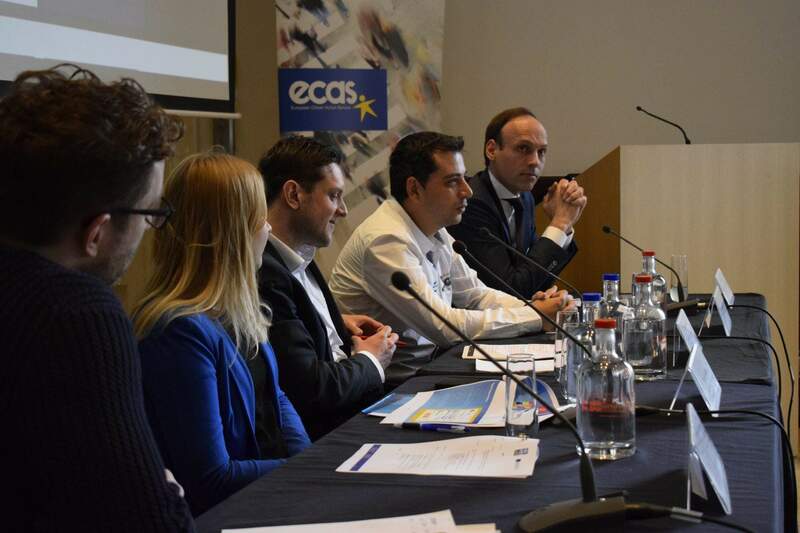 Finally, participants were asked to test two different online platforms, the ECI Forum, – a pilot project of the European Commission – and YourVoteMatters, an online platform aimed at enhancing communication among all the actors involved in the next European elections. In the second workshop, ECAS’ Digital Democracy Coordinator, Flavio Grazian underlined how the phenomenon of online disinformation is a growing threat for political campaigns, and will be especially dangerous when influencing citizens’ opinions in the next European elections. He remarked how it is essential to acknowledge that in the new digital information ecosystem anyone can face entirely false campaigns of unprecedented scale. 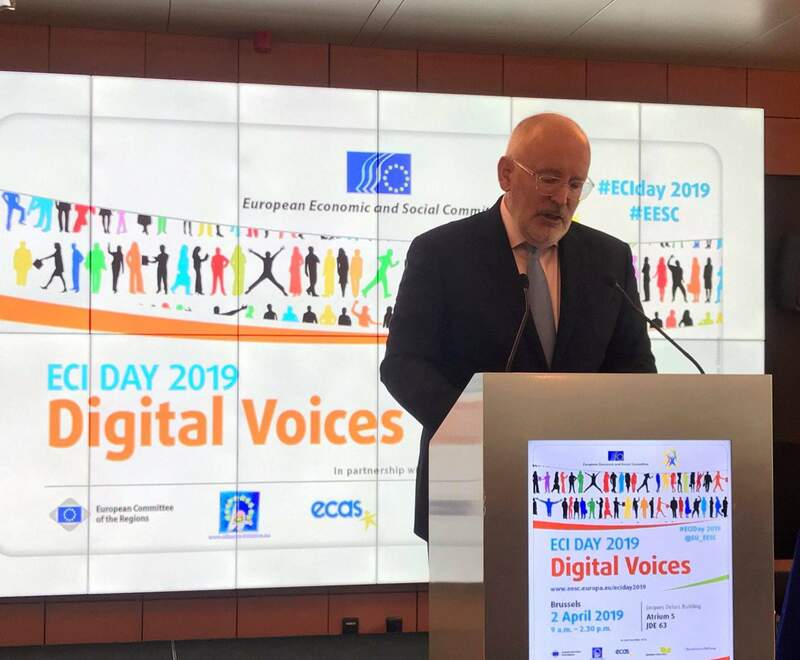 Finally, he underlined the importance of elaborating multi-level responses to protect citizens from the spread of online disinformation during the 2019 European elections campaigns. During the third workshop, ECAS’ Training and Outreach Coordinator, Huw Longton, took the participants through the steps required to implement an effective advocacy campaign, from setting goals and evaluating resources to mapping stakeholders and choosing activities. He went on to look at advocacy in the context of the European elections at EU and national level. The workshop closed with questions from the participants and a general discussion of advocacy opportunities for the upcoming European elections. A warm thank you to everyone who took part in the Academy! Find a detailed programme here.